APIA, 28 February 2019 – The Prime Minister of Samoa, Hon. Tuilaepa Aiono Sailele Malielegaoi and FFA Director General, Dr Manu Tupou-Roosen signed a Memorandum of Understanding (MoU) to formalise Samoa’s support for the FFA’s Regional Aerial Surveillance Program. The Regional Aerial Surveillance initiative is funded by Australia as part of the Pacific Maritime Security Program to enhance the surveillance capacity of Pacific Island countries to deter, detect and respond to illegal or security-related activities occurring in their Exclusive Economic Zones. Under the MoU, Samoa will host one and Vanuatu the other, of two King Air200 aircrafts fitted with high-tech sensors, avionics and communications technologies, capable of detecting fishing vessels over a wide area of ocean. 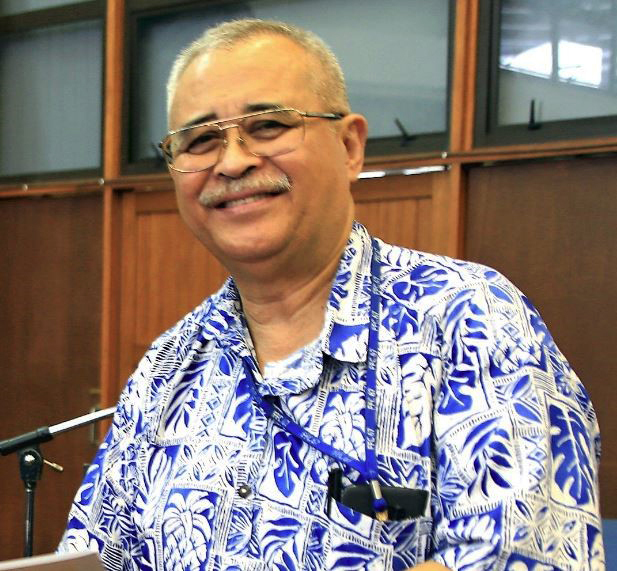 Dr Tupou-Roosen said the MoU with Samoa was another significant step forward. “I wish to acknowledge the generous support of the Government of Australia to strengthen the surveillance capabilities of participating Members through the Pacific Maritime Security Program. This will enable the FFA to assist Pacific islands countries in further addressing maritime surveillance needs and enforcement operations,” said Hon. Tuilaepa Malielegaoi. “The surveillance programme, in conjunction with the Pacific Patrol Boat program, will provide targeted maritime patrolling and enhance the ability of Pacific island countries to defend against regional maritime security threats such as illegal fishing and transnational crime,” he added. “The Marshall Islands signed a similar agreement earlier this month and now Samoa is also demonstrating leadership with its willingness to host one of the King Aircraft. Our Members are contributing to a new level of regional cooperation, with Australia funding the Program and the FFA Secretariat managing the planes and working in close consultation with Members,” said FFA DG, Dr. Tupou-Roosen. The Regional Aerial Surveillance Program commenced in December 2017. Two King Air aircrafts will provide 1400 hours of aerial surveillance per year for 15 FFA Members. FFA assists its 17-member countries to sustainably manage fishery resources that fall within their 200-mile Exclusive Economic Zones (EEZs). FFA provides expertise, technical assistance and other support to its members who make sovereign decisions about their tuna resources and participate in regional decision making on tuna management. Mr Wagner said much of the fish caught in Pacific waters is transferred from one ship to another and up to eighty percent of it is processed in Asian countries. “What we are supporting through this programme is to develop new technologies and monitoring, for example drones, we are also working through the FFA (Forum Fisheries Association) with the countries to look more at trans-shipments. For example many of these days, you know that term money laundering, and there’s also something called fish laundering,” Christopher Wagner said. He said coastal fisheries management, marine science and biodiversity projects will also receive a boost from the funding which was announced at last week’s Pacific Islands Forum meeting in Nauru. 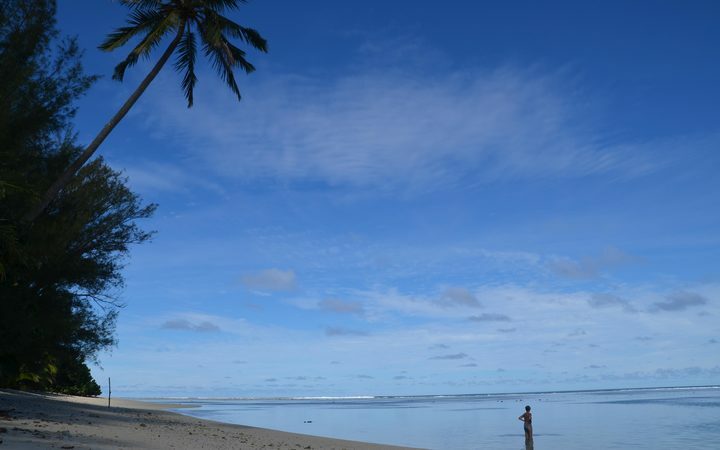 Four key regional agencies have signed a deal with the European Union to help promote sustainable management and sound ocean governance in the Pacific. The agencies, the Forum Fisheries Agency, the Pacific Community, the Secretariat of the Pacific Regional Environment Programme and the University of the South Pacific, have signed the deal this week in Nauru. Called, the Pacific-European Union Marine Partnership Programme, it will address, among other things, the depletion of fish resources and the threat to marine biodiversity, including climate change and disasters. EU representative Jean-Louis Ville said there was an urgent need to act. “We trust that we are now at the right time to form a joint alliance and coalition on issues related to international ocean governance for which the Pacific European programme will form a very solid foundation,” he said. The five year programme is funded by the European Union providing $US40.5 million ($NZ61.8 million) and the government of Sweden $US11.6m ($NZ17.7m). It will be used to support regional and national level activities in the Pacific. The United States said it planned to give $US7m in military spending to Papua New Guinea, Fiji and Tonga. Speaking in Nauru, US Secretary for Interior Ryan Zinke said the money would support training equipment and other security co-operation priorities identified by these Pacific nations. In addition, the US will provide $US750,000 a year in international military exercise and training to PNG, Fiji, Tonga and Samoa to support training for military and police forces. The US will also assist PNG with harbour security during APEC in Port Moresby in November. It is part of the $US290m commitment by the US to support foreign militaries in the Indo-Pacific region. Following concerns raised by the Pacific Islands Forum last year, the US offered to support Pacific Islands countries implement the United Nations Security Council sanctions on North Korea. Australia has announced new assistance to Nauru to help fight disease, empower women and support next year’s elections. Canberra’s providing an extra $US1.01m to help fight non-communicable diseases like diabetes and heart disease. Another $US720,000 will go towards supporting women’s empowerment over the next three years. Nearly half a million will go towards building up the Nauru Electoral Office in a programme which New Zealand is also funding. Australia said the plan was to create a better-informed electorate and implement more transparent and inclusive electoral processes. The extra assistance was announced on the sidelines of the Pacific Islands Forum meeting in Nauru. All up, Australia’s planning to spend more than $US18.6m to support Nauru in the coming year. New Zealand and Japan are to work together to ensure the success of the Pacific Climate Change Centre in Samoa. New Zealand foreign minister Winston Peters says New Zealand is committed to supporting climate change action across the Pacific and it sees the Pacific Climate Change Centre as a key regional institution. He says the Climate Change Centre will help Pacific nations combat the impacts of climate change over the coming decades. The centre is already under construction at the Apia campus of the Secretariat of the Pacific Community Environment Programme in Apia and expected to open in the middle of next year. Mr Peters says New Zealand is putting up US$1.96 million dollars for the centre. The Forum Fisheries Agency says the Pacific is facing big challenges as it embraces digital technology. A systems analyst for the agency said that in the fisheries sector, work to digitise information was ongoing and labour intensive. Ano Tisam said many organisations and governments in the region still used pen and paper. He said to move ahead, information needed to be accessible in a digital format and properly stored and archived. Ano Tisam was visiting New Zealand from Solomon Islands as a guest speaker at last week’s Pacific Tech Summit in Auckland. Honiara, Solomon Islands 13-15 February 2018. 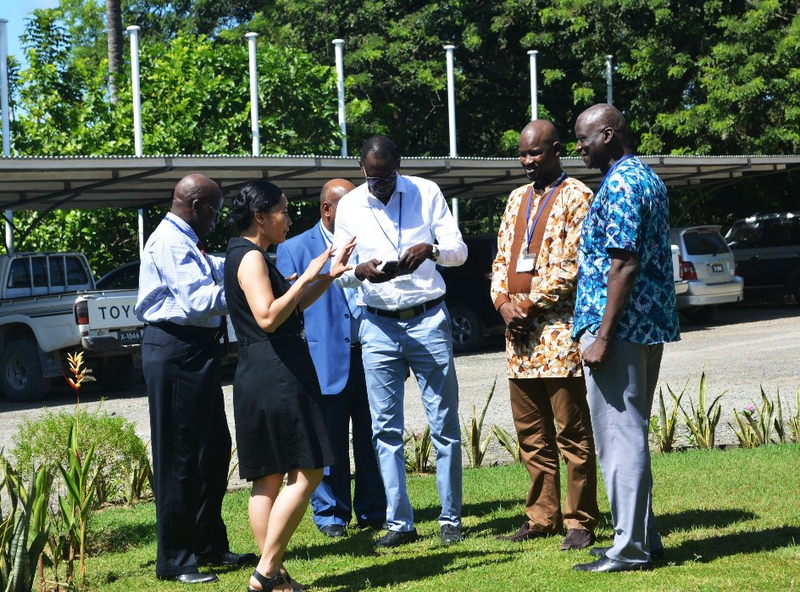 Lamine Camara, Director of Fisheries for Mauritania, was the first representative from Mauritania to visit the Pacific Islands Forum Fisheries Agency (FFA) in Honiara, Solomon Islands when he arrived in February this year. Joining him on the occasion were an additional 20 international delegates who all gathered at the FFA premises to participate in a Pacific – Global Zone-based Tuna Fisheries Management Exchange. 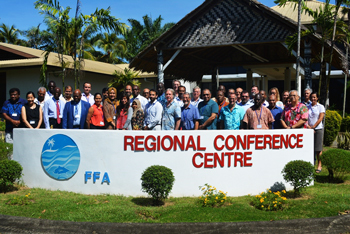 The Exchange was hosted by FFA to provide an opportunity for representatives of developing coastal States from around the globe with an interest in tuna fisheries to visit the Pacific and learn first-hand of the successes and challenges in tuna fisheries management encountered in the Pacific Ocean. 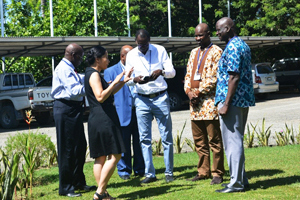 The gathering was supported by the Common Oceans ABNJ Ocean Partnerships Project (OPP), which provides funding from the Global Environment Fund (GEF) through FFA to conduct knowledge sharing and inter-regional cooperation with developing coastal States and other stakeholders globally. 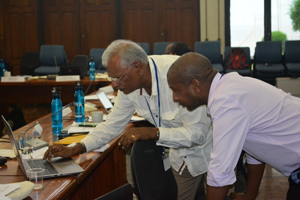 Over the course of the three-day event, participants examined and discussed the “Pacific model” for fisheries cooperation. 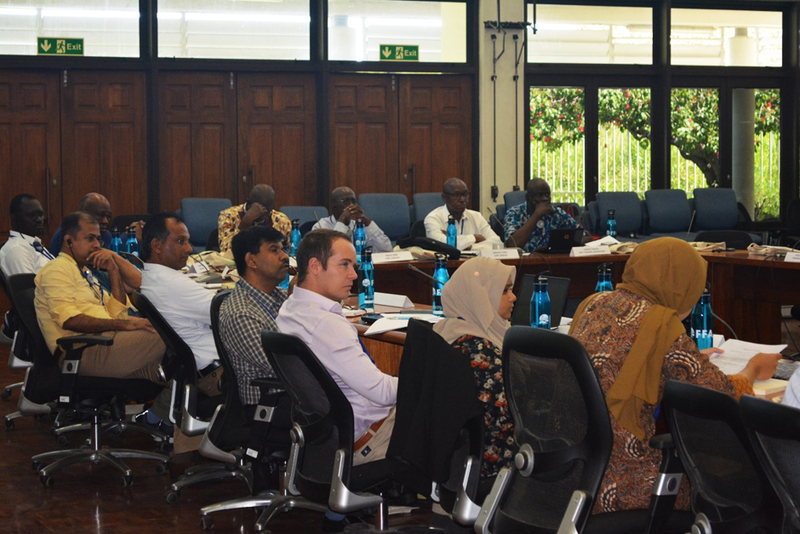 There was a focus on how zone-based management arrangements have been introduced in the FFA region and used to gain control of the fishery by coastal states, thereby reaping substantially increased benefits. FFA staff and resource people from the Office of the Parties to the Nauru Agreement (PNA) and the Pacific Community described the long history of cooperation, the key outputs (programs and platforms for cooperation) and the main outcomes (social, economic and environmental benefits) that have been achieved in the FFA region. 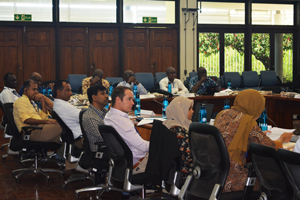 A total of twenty-one delegates participated in the exchange, including representatives from national and regional fisheries agencies and fisheries programs in Senegal, Mauritania, Guinea, Guinea-Bissau, India, Sri Lanka, St Kitts and Nevis, Indonesia, Maldives, Seychelles, Tanzania, Latin America, the Caribbean, the Indian Ocean, as well as representatives from the World Wildlife Fund and Conservation International. for all parties – gaining different perspectives about how to deal with similar issues in the management of highly migratory fish stocks. It was noted that many of the ‘lessons learned’ from the Exchange does not only apply to tuna fisheries, but also to other cross boundary demersal stocks, and for the introduction and use of monitoring, control and surveillance technologies. In welcoming the participants and opening the Exchange FFA Director- General, Mr James Movick provided an overview of regional tuna fisheries management in the Western and Central Pacific Ocean (WCPO) and described the concept of “Zone-based Management” and how the Pacific small Island developing states (SIDS) have implemented it. He also said that the importance of tuna to Pacific SIDS is illustrated by fisheries revenues making up more than 40% of public revenue in five countries, providing 25,000 jobs in the region and contributing to food security and development opportunities. At the global scale the 2016 WCPO tuna catch of 2.6 million tonnes represented around 60% of the global tuna catch and was worth $5.2 billion. In turn, around 60% of this WCPO catch is from FFA waters. Tuna provide substantial economic opportunities for FFA members, including the contribution to DP through access fees, domestic fleet development, onshore processing jobs and export income, but today only 30% of fish caught in members’ exclusive economic zones is being taken by local fleets and only 10% is landed for processing. The OPP is one of the four Projects of the GEF-funded Common Oceans ABNJ Program that, under the World Bank lead, is supporting public and private sector investment in better managed fisheries targeting migratory stocks that straddle developing countries’ coastal jurisdictions and areas beyond national jurisdiction (ABNJ). The Forum Fisheries Agency’s deputy director general Wez Norris says there’s huge potential in the new digital technology being piloted to track fish. But Mr Norris said if the blockchain system was going to work on a fishery-wide basis, it would need commitment and collaboration from companies and governments in dozens of countries. The system is on trial in Fiji to monitor tuna from the moment a fish is caught up until it’s bought for consumption. It’s hoped the technology will help ensure more accountability on a global scale and combat illegal fishing practises, but Mr Norris said fish tracking is complex. Wez Norris will vacate the Solomon Islands-based FFA director general role this week.